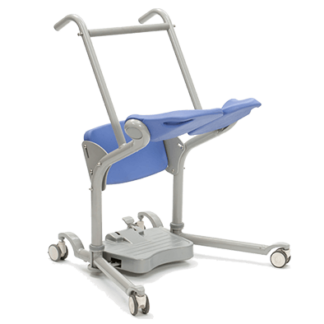 The folding Able Assist patient transfer aid is a safe and easy solution for transferring users from room to room. 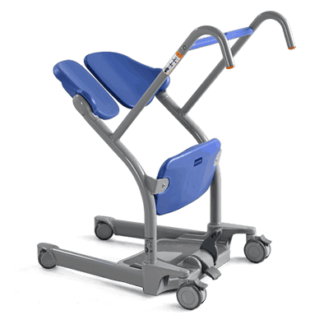 It enables users to participate in transfers and is ideal for users who can rise from a seated to standing position, helping to improve muscle tone. 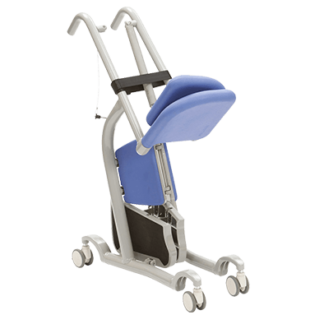 Similar in design to the Arjo Sara Stedy with the added benefit of folding for easy storage or transportation.